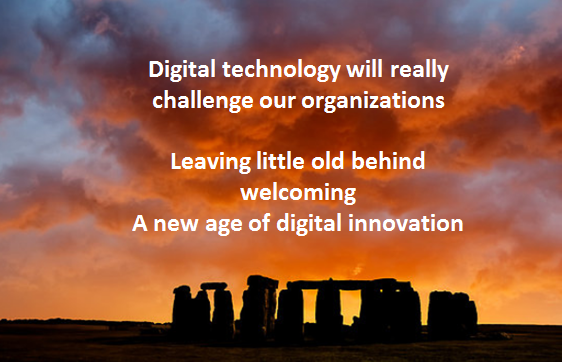 Digital technology is about to become the precursor for all the changes we have put off for years within our organizations. We need to radically improve our abilities to engage, relate and discover new innovation opportunities at a completely different level of faster performance. 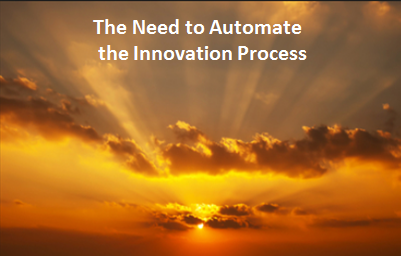 There has always been a consistent call to automate the innovation process. Now it might turn into a stampede, based on real ‘digital’ need. We have developed pipelines and use product life cycle software systems to manage this through to commercialisation. Yet today we still have a fragmented, often broken innovation process, very reliant on the manual processes, where the human intervention dominates. Can this be changed? Technology must form a greater core of the innovation process. The business objectives will change as we invest heavily in digital technologies, as we increasingly recognize and embrace this changing world where digital knowledge and insights begins to challenge and change our existing frameworks of innovation thinking. The outcomes of the investment are expected to provide clear returns and these might include but not limited too: 1) different customization of services 2) quicker response to market trends in new offerings 3) identifying real-time cost optimizations, 4) concentrating on faster, more accurate decision-making to give new competitive edges 5) better and more holistic R&D 6) automate even further the supply chain management, 7) alter you approach to channels to market, 8) move your business into new adjacencies or even white spaces and finally 9) design new business models and value propositions. There will be lots of new moving parts to grapple with to be future innovation agile. There is so much occurring in new applications and alternative solutions, it is a very tough position for most dealing in technology to truly master all of these breaking options they might have to consider. It must be a little overwhelming, when many responsible for IT have for years not had any strategic involvement and not been given clear line-of-business oversight. Business management equally has over the years built up an ‘arm’s distance’ to IT and found ways to overcome barriers they felt were seemingly put in their way, when it came to ‘bringing in’ the technology they deemed as essential. Something needs to change going forward. Both the business manager and the IT need to find ways to exchange, collaborate and share. It is in their ‘vested’ interest but more importantly for the future health of the business itself. 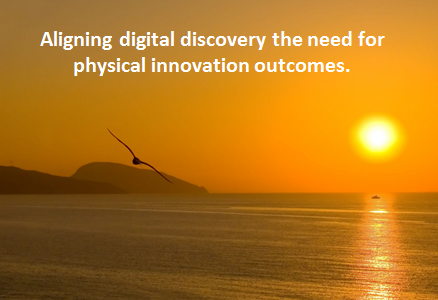 Aligning digital discovery with physical innovation outcomes. We really do seem to be in a really evolutionary period, with the explosion of change taking place in the post-digital world of cloud, big data, social and interconnected devices. The discovery of insights from all this embedded intelligence, social activity and data analytics is leading us to realize a potentially significant wave of new innovation opportunities from this digital knowledge. The question is “are we internally ready for this?” Are our innovation systems and structures able to adapt to a need for exploiting ‘breaking’ opportunities where speed and agility becomes a critical deciding factor to capitalize on breaking commercial advantage by tapping into all these fresh insights? 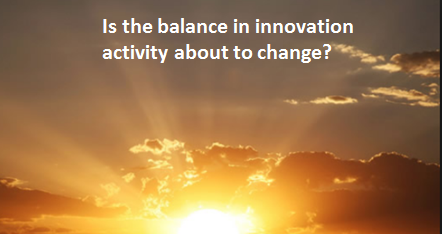 Is the balance in innovation activity about to change? Is digital technology we see emerging today going to be able to provide the positive tension between rational and randomness that takes place in our innovation activities today? Will digital begin to dominate our innovation thinking, will we lose this randomness, this spark of human creativity or will it be allowing this to connect multiple strands in new, more exciting ways? How are we going to adjust to the changing way technology will impose itself on our innovation activities and needs? How will all this Mobile Connectivity, Cloud Computing, Social Media, Crowdsourcing, Internet of Things, Industrialinternet, Big Data, Analytics, 3D Printing and Scanning be presented and managed as a part of successful business scenarios and intertwined with changes of social behavior? Are our existing innovation systems ready for this potentially set of sweeping changes of knowledge inflows and translation, so they can be successfully commercialized into new innovation? Digital Technology is significantly challenging organizations to re-think and re-equip due to the emergence of big data, smart mobile connectivity, social media, cloud, analytics and the growing commercialization. These are all driving external technology change, all clearly pointing towards a significant disruption of the existing ways we conduct business internally. So we need to ask “how are we going to take advantage of the potential business transformation?” The issue is how to capitalize and create the value from all this change for innovation and performance enhancement? A really worthwhile report on Innovation not to be missed from Innovation Leader.